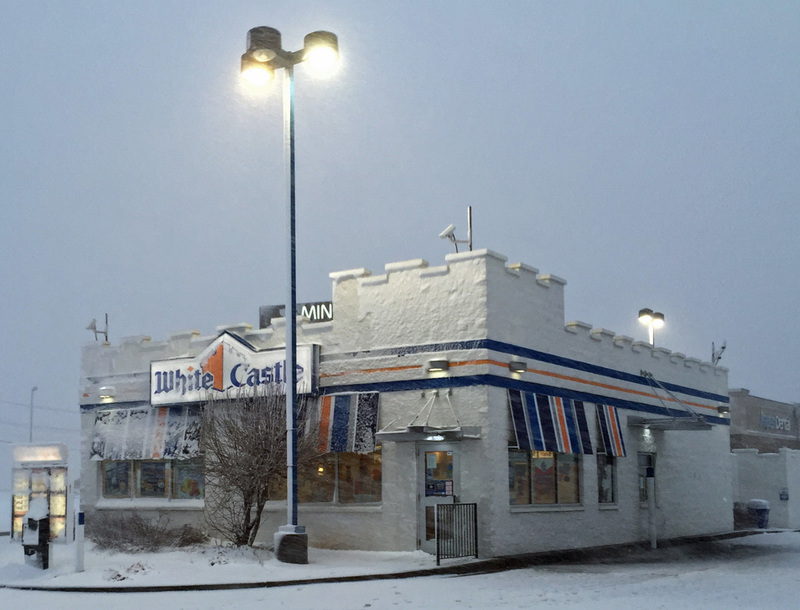 Even though this area was blanketed with snow and high winds, the White Castle location here was open at its regular time at 6 a.m. to serve the many customers who wanted their hot coffee and the chain's popular egg sandwich. February 24 -- The Farmington White Castle store was the winner of two of the restaurant chain's top awards in competition with 40 of the other franchise locations in the St. Louis region. The local store was named top winner for its successful campaign to raise funds to fight autism with contributions from its local customers. In addition, the store's manager, Lonna Loveless, was also named the top unit manager in the St. Louis region. Among the other store activities that received attention at the regional award ceremony was its annual Valentines Day celebration in which part of the restaurant was reserved for couples who came in that evening to enjoy the special decorations and menu. Congratulations Ms. Loveless!